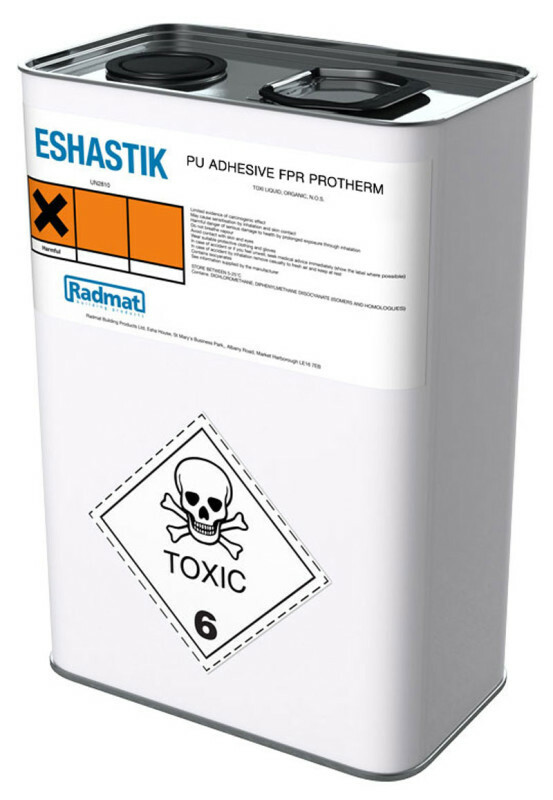 EshaStik is a moisture curing polyurethane adhesive for bonding insulation materials such as polyurethane/polyisocyanurate foam, phenol resin foam, mineral wool and polystyrene foam to a variety of substrates including EshaBase and EshaGum vapour layers, Concrete, Timber, primed galvanised or coated sheet steel and/or mineralised bituminised roofing materials. Bonding on talcum coated substrates is not recommendable. EshaStik does not contain chlorinated hydrocarbons and organo metallic compounds. The substrate must be clean and dry, structurally sound and free from laitance, oils, dirt, moss, lichen and loose materials. 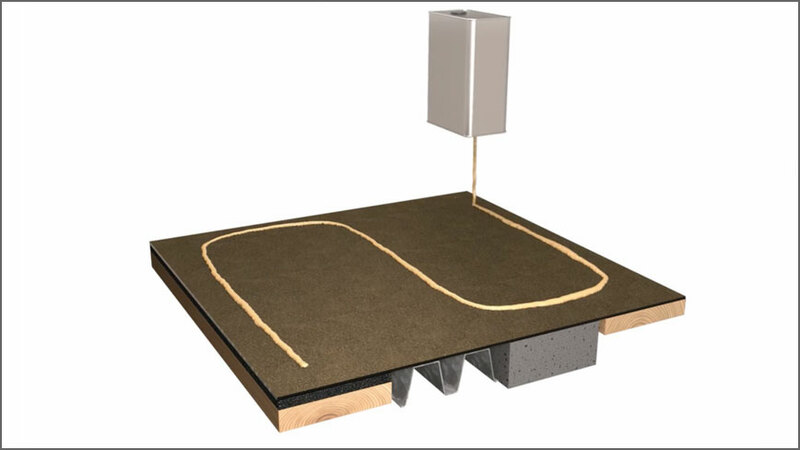 If applied to an existing roofing membrane the surface must be quite smooth. 1. Remove the lid from the tin. 2. Puncture a minimum 6mm diameter hole in the bottom of the tin using a screwdriver or similar device. 3. Using an ‘S’ pattern apply continuous adhesive beads at 300mm centres in the field area of the roof in accordance with the consumption guidelines below. In perimeters and areas of high wind uplift reduce this to 150mm centres. 4. Immediately lay the thermal insulation board into the adhesive and press down to ensure contact. 5. Continue installing insulation boards across the roof in the same manner. The insulation material must be laid and pressed into the adhesive beads before skin formation. Do not apply more adhesive than can be covered in 5 minutes. Carry out periodic checks to ensure the adhesive ‘ridges’ have been squeezed flat, do this by lifting the insulation material at the border side. This is particularly important with very uneven substrates. Installation to be according to guidelines and specifications supplied by Radmat Building Products.